Warm traditional single story four bedroom home in the exclusive guard gated community of Big Canyon. This sought after elevated corner location is surrounded by mature lush landscaping. 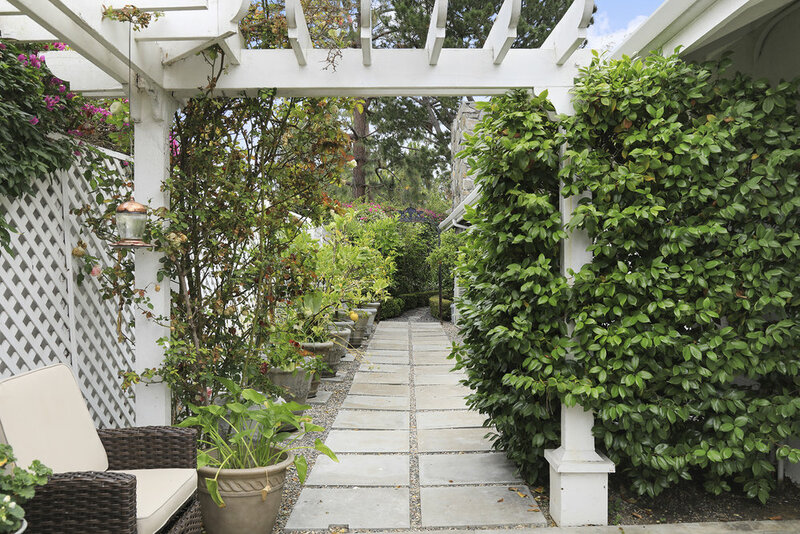 The wraparound gardens feature classic white rose bushes, fruit bearing and citrus trees. boxwoods, hydrangeas and much more. The gated courtyard features a swimming pool ideal with full sun exposure throughout the day. Enter into the home and find an inviting dining room and formal living room with features vaulted ceilings and a fireplace accented with stone. French doors lead to the back yard and courtyard. 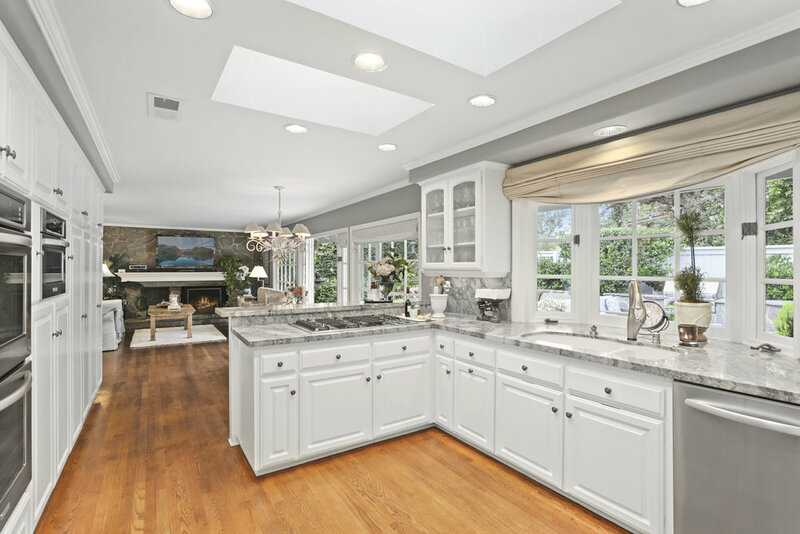 The gourmet's kitchen has the great room concept and has been recently renovated with marble countertops and features all of the modern conveniences, counter seating, breakfast area and family room with stone accented fireplace. The flow for entertaining is seem less with French doors that lead to the backyard which has spacious yard with an outdoor fireplace with ample room to entertain. 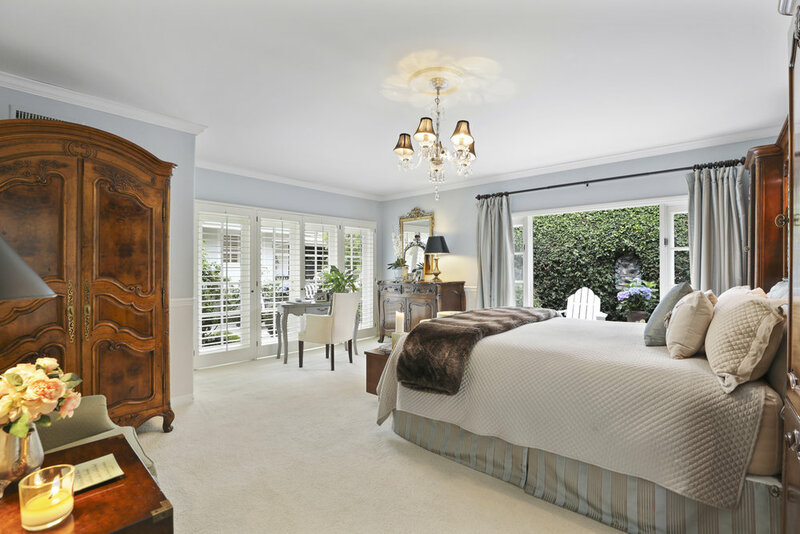 The bedroom wing features four bedrooms and two and a half baths and oversized interior laundry / service room. 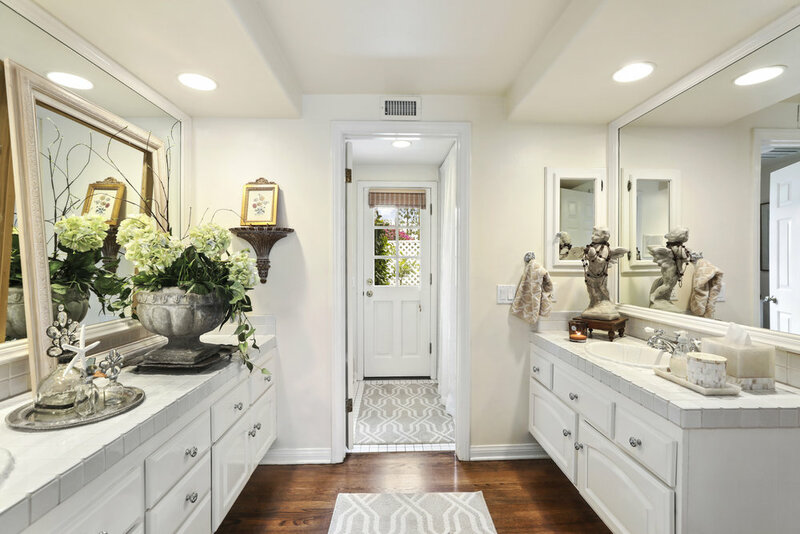 The master bedroom has private gardens off the bedroom and bath room, walk-in closet, dual sinks and vanity with natural lighting. This home is complete with rich hardwood flooring, custom mouldings and baseboards throughout and a three car garage.